* I'm just saying mind-reading is not something one learns in vet school, so for the love of your pet's health, don't expect your vet to be a mind-reader. 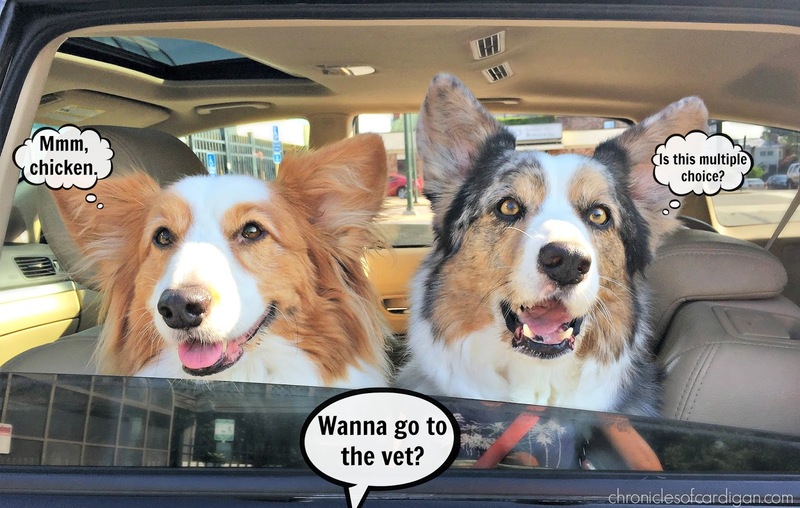 IF, on the off chance your vet says or does something in response to the thing you were thinking, but never said out loud, and it seems freaky to you, it is still 99.9999999999....9999999% NOT mind-reading; that is called a coincidence**. 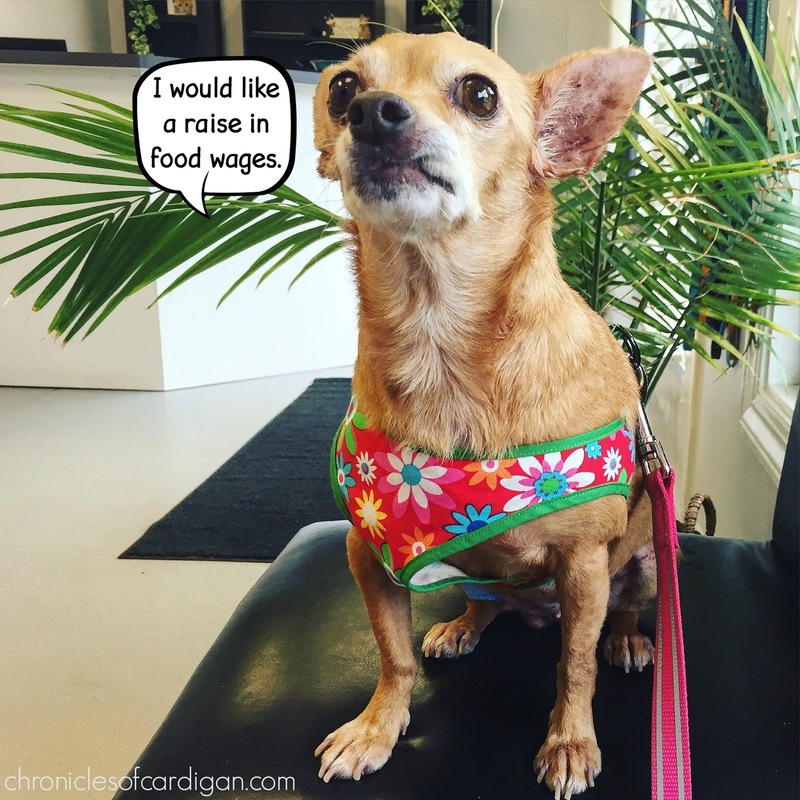 ** There was a freaky coincidence with Lele's (my foster chihuahua) shelter vet and her flea/tick preventative. I'll tell you about it in a bit. I'VE USED A FLEABAG-LOAD OF COMMERCIAL FLEA AND TICK PREVENTION PRODUCTS ON MY PETS, BUT RARELY HAVE I ASKED MY VET ENOUGH (OR ANY) QUESTIONS ABOUT THEM FIRST. I can't even say why, for sure. But in reflection, perhaps it was a mix of 1) not wanting to sound dumb, 2) accepting that whatever product the vet suggests first is best, or (in most cases, at least in the last few years, as FDA restrictions have loosened) 3) I'd already purchased a product at the store, over the counter or online (and I didn't even bring up flea/tick prevention during routine checkups). I've wasted lots of money on products that weren't effective (or had a warning that I didn't see before purchasing, like being toxic to cats. #scarytruth). I missed the "memo" from my vet (had I asked about flea/tick prevention back in 2014 when it came to market) about a new, yummy-tasting chewable for dogs that kills both fleas and ticks for up to 12 weeks* in one dose: BRAVECTO® (Fluralaner). Why am I excited to be here, again? So, here's the story. Back in June when I was in Phoenix for BlogPaws, my husband took Lele to see the staff veterinarian at the shelter for which I am fostering her. 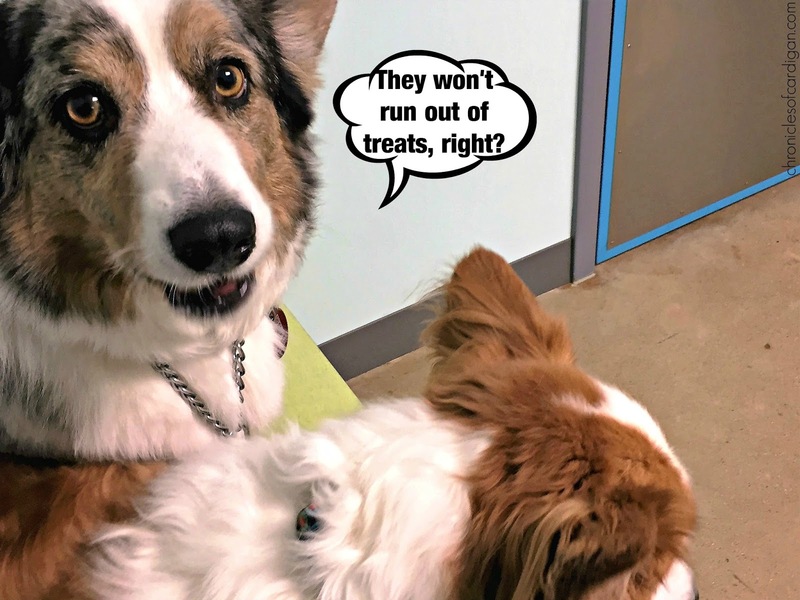 She'd broken out in a rash that needed to be seen, but her veterinary dermatologist was booked. (Side note: Before the rash necessitated this visit, I had planned to ask the shelter vet for a dose of BRAVECTO for Lele, but had not conveyed that to my husband.) My husband texted me after the appointment to say it was non-eventful (Lele's rash had already begun to resolve, and the vet was amazed at the improvement in Lele's skin and ears since she'd entered foster care). He also mentioned that the vet had given him some medicine that he couldn't remember the name of (he was back at his office already), but it started with B. Oh, and the vet had given instructions not to give the meds to Lele until the product had been cleared with her dermatologist. 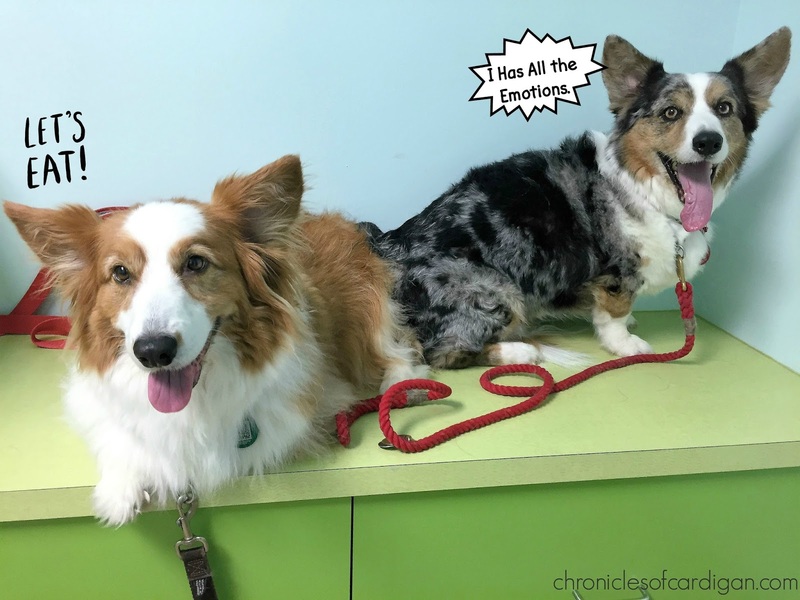 CONFESSION: Had Lele's vets--her health experts--not been in the picture, I probably wouldn't have thought to ask whether her flea and tick preventative could trigger a food allergy. I don't think the possibility would've even crossed my mind. THERE ARE LOTS OF QUESTIONS I COULD ASK MY VET ABOUT FLEA AND TICK PREVENTATIVE. Are the current over the counter products less safe than those that require a prescription? Is the generic product as effective as the name brand? 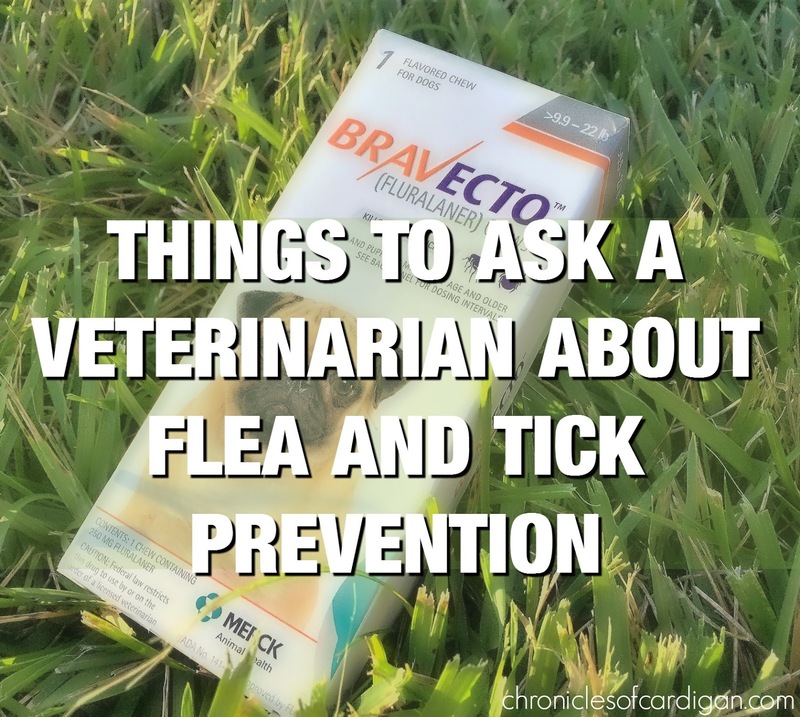 Have you ever purchased flea/tick preventative without asking your vet about it first? Anything in particular you would ask next time, or add to my list? Great post - and great list of things to talk to your vet about! One, Lele is adorable, just had to throw that in there. Great post and everyone needs to know what preventative care is so important. Sherm has a wicked flea allergy so we also use a monthly product that helps him a lot and this season has been really bad and hasn't let up at all... Thanks for spreading the word about a great product. Okay, first off...you're hysterical. I LOVE the way you write. Thank you for making me smile today. Secondly, thank you for sharing really helpful information about this product. I have intended on asking our veterinarian about it and have failed to do so on multiple occasions and she has not yet read my mind! great post. I am lucky in that I have a vet that likes to engage - we are even friends on FB so I often reach out outside of our visits. Brilliant really. Ridiculously lucky I know. for us, we actually ended up going with a tick and flea collar. Montecristo has reacted violently to anything ingestible (throwing up, shaking etc.) or topical (the drops left massive rashes). So - we are stuck with the collar that goes on ONLY when he's going outside and especially on our hikes. The one thing we have added is [putting the drops on his harness for when we sail to deal with sand fleas. Conversation with the vet is important. I would have never thought about a flea & tick prevention triggering a food allergy. Great questions to ask. My vet is pretty informative and I remember having lots of discussions about preventative care regarding heartworms and other problems, but will talk to him about Bravecto on our next visit. The service dog group that I am working with now uses Bravecto for their dogs. It is not a product I had used in the past, but it seems to work well. I have had several friends in our area complaining about fleas, but we haven't seen any all summer. And Logan thinks the pills taste pretty yummy !! I love that people are becoming more aware of their options. Even my husband agrees that we should not 'poison' our pets to prevent fleas and ticks. ...I should add that my husband normally trusts me to make informed decisions based on the information provided to us by our vet.